I am delighted to introduce a long-time industry friend, and one of the pioneering executives in the world of financial services BPO: Michael Koontz. Michael has spent most of his career (14 years, in fact) helping steer Wachovia's BPO strategy, where he led over 130 transitions, managed over 1000 SLAs, over four countries and three service providers. He also served as Wachovia's CFO for Banking Operations. Michael recently made his first foray into service provider world, leading the financial services vertical for up-and-coming BPO and KPO service provider Aditya Birla Minacs. What we are seeing in the financial services sector is nothing less than a major paradigm shift, as big banks struggle to survive the current financial crisis and many smaller, regional banks leverage this opportunity to play catch-up with offshoring. There are a couple of distinct trends among the big banks. First, they are moving away from captive models as they try to liberate capital and focus on their core activities. We will see the banks sell off non-core processes, or at least move them from captive operations to third-party providers. Citibank’s sale of its India-based outsourcing arm to Tata Consulting Group (TCS) is one recent example of this trend toward the “monetization” of captives. Second, those already using a third-party model are rationalizing their current BPO/KPO providers, ensuring they have neither too few (which increases risk) nor too many (which can dilute the value of outsourcing, reduce scale, and limit their providers’ attention to the business). Two or three BPO/KPO partners is generally the right number to effectively segment work, benchmark results, and create healthy competition. Many banks arrive at this magic number as they attempt to achieve efficiency gains while mitigating risk. In addition to ensuring the right number of suppliers, banks are seeking strategic partners that can provide solutions across a spectrum rather than a productized offering. Unlike the large institutions, regional banks have not done much offshoring or outsourcing. There are several reasons for this. First, the cost of entry was prohibitive when offshoring began—infrastructure, governance, and consultants, and more consultants drove up costs. Recently, this price tag has decreased dramatically—from 20% – 70%, depending on the service—as the market matured, technology costs dropped, and off-the-shelf options increased. In many instances, a bank can now start a program with very little outlay, and many providers will even cover start-up costs. Scale was the other issue—most providers were not interested in small banks because they couldn’t provide the scale needed to support the FTE models dominant in the industry at that time. Transactional models are much more common today for many processes, and scale plays a much smaller role in these decisions. All financial services companies will evaluate which processes they consider to be core; as the industry has matured, companies have come to realize that many processes once thought of as central and inalienable can be successfully off-shored. As this happens, we will see many more processes migrate outside the physical walls of companies. Another big evolution is toward offshore enablers—technology solution providers that make it easier and more efficient for other companies to embrace offshoring. Imaging platforms are one example, as they enable virtual processing of paper-intensive processes such as check processing. With front-end image capture, many of the day-one activities previously conducted in locations across the US can now be centralized at one location anywhere in the world. While the big banks remain distracted by the recent wreckages of the financial markets, many smaller banks have quickly moved ahead with creating and executing their offshore strategies. The outsourcing industry is more mature than it was three years ago, and many of these smaller banks have watched, learned, and are now looking for strong partners to help implement their strategies. Over the next two years, watch for the emergence of many smaller contracts for many more banks. As small banks join the game, they may in many cases surpass the results of the larger companies by leveraging past learnings. 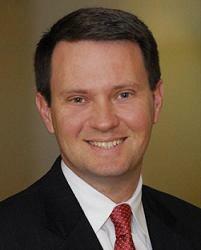 Michael Koontz is SVP and Business leader for Financial Services at Aditya Birla Minacs. Am not familiar with US Mid/Small banking sector & probably missing something but I don't see the offshoring business case stack up. You mention the related trend of investment in centralisation enabling IT. Actually imaging IT has been coupled with ever-evolving workflow/BPM applications for over a decade. Why would a US Mid/Small bank avoid the workforce reduction benefits of workflow/BPM applications if they are actually burning dollar on a multi-branch expensive imaging IT infrastructure ? Post implementation, is there still a business case for offshoring anything less than 300 jobs ? I can understand that there is scope of outsourcing but fully-loaded offshoring, may not be financially viable. Banks traditionally are very paper intensive; and many of these areas are also seen as non-core to most of the businesses. Because of these two facts, most banks don't invest a lot of money in technology to improve these areas. Yes there are lots of the shelf solutions available but many of these companies don’t use them and yes they could use IT in many instances to reduce the number of FTE but they haven’t in the last 10 years and in most cases won’t do it if left to their own volition. Scale: Scale was critical 5 years ago for offshoring because companies wanted to have dedicated staff, using their systems, applications and processes. So each process moved offshore had to be able to have its own business case to justify. With the maturity in this space, companies now see the advantages of a more hands-off transactional model. This provides offshore companies the ability to provide services at a much lower cost because they can share resources across accounts, leverage common platforms and best practices. Scale can be achieved using multiple clients and the savings passed to each individual client. Big banks still prefer the dedicated model but we are seeing regional banks go more in this direction. So in answer to the question, "how many FTE would be required to justify offshoring a process" the answer could be 2, if each of these individuals were making $250K+/year and the service can be provided for $60K/year in India, have experienced it in some KPO processes. For processes with lower paid US resources, the normal breakeven number will be somewhere close to 25FTE. Hope this helps, KEEP THE COMMENTS COMING!!!!!! I agree with Ratnesh on his comment that the business case for small/regional banks does not stack up. Unless I am missing something and with a number of discussions I have had with smaller banks as their 'operational expert' don't see the argument for BPO for smaller banks. Maybe a vendors wishlist but not for the bank. I definately don't agree with Michael's response to the comment. A 'Scale of 2' is all what is needed to do offshoring. That is the first such view I have seen from any expert and dont buy that. 1) How many vendors will be willing to take on '2' resources for offshoring ? Will Mr Koontz firm take up a job with 2 resources and provide an A class team to do work without any scope of scalability and growth. Good luck with Tier 1 vendors if that is your offshore vendor strategy - if that is considered a strategy. 2) In this time of regulations, federal oversight why would a bank risk offshoring without a proper internal risk management structure in place which is cost prohibitive if the scale does not exist. Would'nt a bank put itself at unprecedented risk by offshoring small jobs ? Who pays for the cost and can you do it without scale ? 3) Smaller regional banks have thrived on relationship, knowing the customer and in this economic downturn in this country - how does offshoring help their business ? 4) In the argument of offshoring two jobs to India. None of the so called 'operational job's in bank pay $250K. If they do I am in the wrong end of the business. The so called operational jobs are lower paying and thus the argument that the cost saving differential is high for smaller scale is not valid. Maybe the experts see something I don't working day in day out with regional banks but still hard to buy the argument on business case. 1) How many vendors will be willing to take on '2' resources for offshoring? Will Mr Koontz firm take up a job with 2 resources and provide an A class team to do work without any scope of scalability and growth. Good luck with Tier 1 vendors if that is your offshore vendor strategy - if that is considered a strategy. MK Response: This is not a stand alone process, you are right you would not do a 2FTE stand alone but it is one process in a portfolio of business with this client. Show me a provider that will turn away a process for an existing client that is an invitation to bring in competition. No one wants that. Very few providers today are product providers, most successful companies want to be able to support the clients in most areas, and yes there are lots of positions that make $250K+, go look up Analyst jobs in Investment Banking. My apologies if I made this sound like only Ops positions. 2) In this time of regulations, federal oversight why would a bank risk offshoring without a proper internal risk management structure in place which is cost prohibitive if the scale does not exist. Would'nt a bank put itself at unprecedented risk by offshoring small jobs? Who pays for the cost and can you do it without scale? MK Response: One word "Capital." Small banks are not exempt from the economic pressure in the market and they are fighting to survive like the big players. Many of the Tier 1 providers are targeting much of their strategy around these players because 90% of the top 20 banks already have created and implemented their offshore strategy. When the O/O business started it was quiet expensive to get started but most of that has now decreased, so small companies can afford to play in the space. We can revisit this in next year and see if I completely missed the boat. MK Response: Most will begin their program with operational jobs but as the relationship and experience of offshoring builds, they will begin to explore other areas, including analysts in; Marketing, Investment Banking, Mortgage, etc. Many of these will cross that $250K level. BTW, this is great, some of the best discussions I have participated in lately. High entry costs, Key levers to control these prohibitive entry costs - IT setup & KT costs. I can surely say the need of the hour is a "vanilla Imaging & workflow tool", which takes "5 days" to deploy. Providers, now of all times, will want to look into investing into a standard plug and play, out of the box solution, which is not cost prohibitive. This can ensure smaller learning curve, and actually make the mirage - Platform BPO a reality! Optimal Sizes Ajay you have raised valid points, about the optimal sizes, however, in most business cases I have stated by comparing pure salary costs to fully loaded offshore costs.. at times this does not make sense, however, the cost benefit of a migration starts to make sense case you compare the right things. E.g. once you compare fully loaded costs including property saves, IT saves, support saves can stack up benefits, which are not visible to the naked eye! I don’t deny, the 250K jobs are far and few... however they exist... the need is for the C Level buy in and resolve to realize the benefits. Gain sharing – ship and fix Gain sharing and improving processes by consolidation is very relevant and achievable, e.g. it’s much easier to manage volume peaks and troughs. With service providers providing front office focus on the routine back office tasks can show up plenty of opportunities of improvement. The sad part though is the original issue of scale, for a 2 FTE process will there be enough spoils to be shared?